We released a brand new die cutting and embossing machine! This little machine is so fun and easy to use. The machine is sold exclusively at Jo-Ann Craft stores and online at JoAnn.com. Our team has several videos to get you started with the machine. Click over to one of the videos on YouTube and tell me what you think. Here’s the link to make easy for you: Sapphire Videos. Stacey Caron lives her life to Curate, Empower and Create. President and co-founder of Spellbinders Creative Arts and Stacey Caron Design. 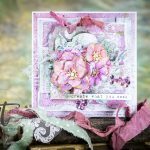 In 2003, Stacey forever changed the world of die cutting and embossing. Responsible for co- developing the first universal cutting and embossing system and the first dies in the craft market to cut, emboss and stencil. 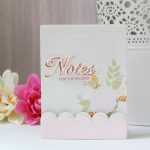 Stacey’s achievement has resulted in the most widely used format for manual die cutting and embossing in today’s craft market. After achieving numerous awards in product innovation and business including three consecutive years on the INC 500/5000 list an exclusive ranking of Entrepreneurs nationwide, 2014 & 2013 Bronze & Silver Stevie awards for Female Entrepreneur of the Year and Innovator of the Year, Ernst & Young Entrepreneur of the Year Finalist in the Desert Mountain Region, 2012 Enterprising Woman of the Year and several innovation awards from the Craft & Hobby Association, Stacey partnered with an investment company to grow the Spellbinders brand to new levels. 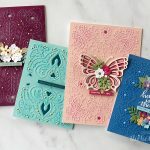 Today, Stacey is active in designing multiple product collections for both the Spellbinders and Stacey Caron Design brands.